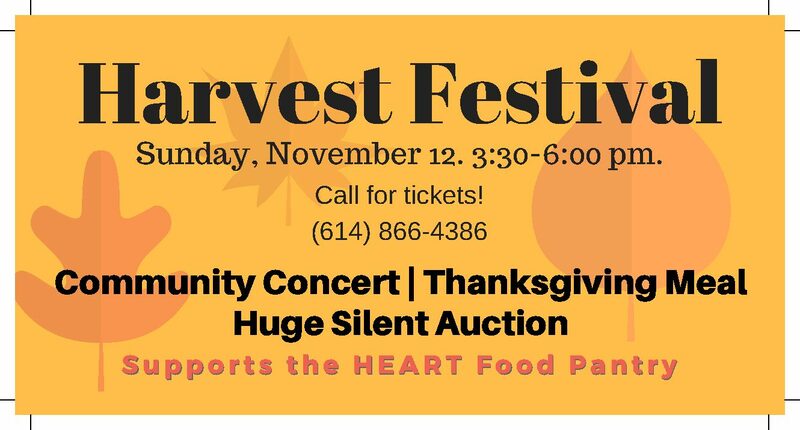 Sunday November 12, come to Messiah for the largest fundraiser this year for the HEART Food Pantry, heartfoodpantry.org. 4:30-6:00 Great Turkey Dinner, fixings and dessert. Eat in or Carry Out, tickets for dinner can be purchased at Messiah before or on the day of dinner. $9 for Adults and $5 children, under 5 free! All Day Sunday, November 12, Silent Auction, Party Wagon Raffle- Unbelievable offerings in the Silent Auction, over $5000 in gift cards, trips, crafts, tickets, memorabilia and more. Do your Christmas Shopping here. Party Wagon will be a hit for your holiday parties, a wagon full of great Spirits yours for the taking.